Oklahoma continues to imprison people at one of the highest rates in the nation, ranking fourth in a newly released report from the federal Bureau of Justice Statistics. 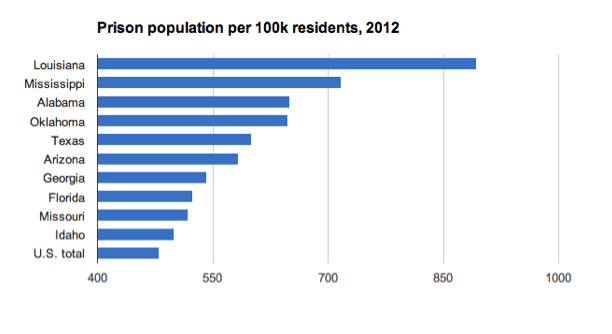 The 10 states with the highest incarceration rates in 2012. Oklahoma, which has seen prison populations increase steadily over the past several decades, incarcerated 648 residents per 100,000 population in 2012, according to the study released Thursday by the bureau, part of the U.S. Department of Justice. That’s up 2.5 percent, an increase from 632 in 2011. Oklahoma trails only Louisiana, Mississippi and Alabama in overall imprisonment rates; last year Oklahoma was ranked fifth. In incarceration of women, the state leads the country, with a rate of 127 per 100,000 residents. The state’s rate of female incarceration has been the subject of numerous studies and news stories in recent years. Oklahoma also led the country in female incarceration in 2011. Nationally, the number of people incarcerated in the United States dipped for the third straight year. In contrast, Oklahoma’s prison population increased by 3.4 percent, from 25,321 in 2011 to 26,194 in 2012, according to end-of-year Oklahoma Department of Corrections reports. The Oklahoma prison system is operating at more than 98 percent capacity. County jail systems are backed up with inmates awaiting transfer to the state system, but prison officials say they’re having trouble handling the steady increases in the inmate population. 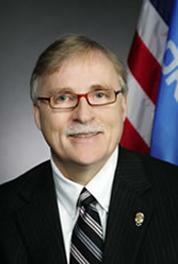 The department received only a 1-percent increase in its budget for fiscal 2014. More Oklahoma inmates have been moved to private prisons. Former state Speaker of the House Kris Steele, who helped craft the 2012 Justice Reinvestment Initiative, aimed at helping cut the prison population, said the state needs to take more steps to address the problem. “We’re going in the opposite direction,” Steele said. The initiative received less funding than requested, and many of the provisions have not been implemented, he said. “There are smarter, more effective ways” to deal with many offenders than solely incarceration, said Steele. He cited other states, such as Texas, that have used similar justice initiatives to reduce their prison population in recent years. In Oklahoma, with prison facilities nearly maxed out, “the trends are unsustainable,” Steele said. 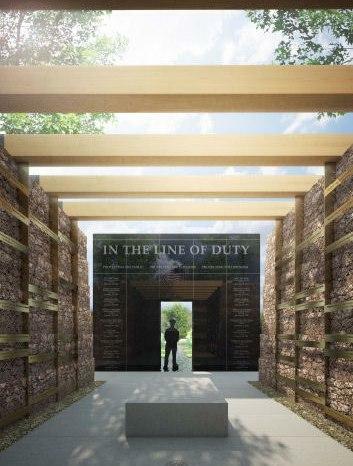 A dedication ceremony is planned for this week for a new memorial honoring Oklahoma Department of Corrections employees who were killed in the line of duty. The new Oklahoma Correctional Memorial will be dedicated Friday on the grounds of the agency's administration building in Oklahoma City. The Tulsa World reports the memorial honors the 20 Oklahoma corrections employees who were killed on the job. The first name on the monument is that of Oklahoma State Penitentiary Deputy Warden D.C. "Pat" Oates, who died Jan. 19, 1914, when a prisoner was attempting to escape. The Tulsa County Sheriff's Office is asking a judge to order the Oklahoma Department of Corrections to pick up state inmates awaiting transfers from the county jail. The request for injunction was filed Tuesday. Tulsa County Undersheriff Tim Albin says transferring the inmates will ease the jail's overcrowding problem. As of Tuesday, the county jail held 1,792 inmates — above the facility's capacity of 1,714 inmates. Albin tells the Tulsa World that about 160 to 170 inmates are being held for the Department of Corrections. The executive director of the Oklahoma Dept. of Corrections announced Monday he will resign Oct. 1, according to eCapitol’s Shawn Ashley. The announcement from Justin Jones comes after a legislative session where the department’s funding was not increased and its budget practices were called into question by key legislative and executive budget negotiators.